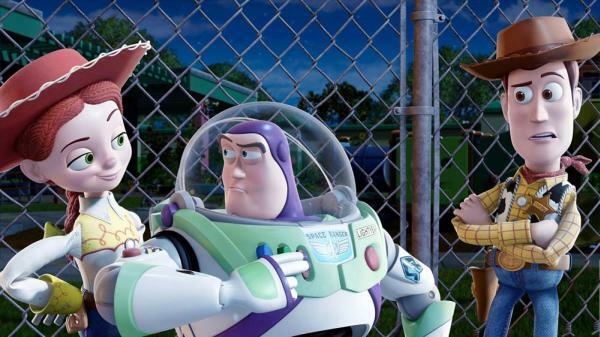 Like most sequels, Toy Story 3 follows in the formulaic footsteps of its predecessors. Unlike the blueprints for most sequels, however, Pixar’s formula is good. As a result, Toy Story 3 is a warm, very funny, character-based adventure that is filled with inventive turns. Broken down to its essence, it’s still “toys get separated, must get home,” but the film finds new ways to explore old dilemmas. Rather than simply amp up one element at the expense of another — more explosions! more villains! — everything remains well-balanced. New characters are introduced, yet they don’t steal the spotlight away from the core cast.